Thanksgiving is over and the house is empty once more, which is both a blessing and a bore. Phew. I survived having all my relatives under one roof—it’s a miracle! But it was definitely nice to see my dad, ina, and much, much, much younger siblings after a year and a half. So, it’s all good, even if I didn’t have time to watch and recap! I only got May Queen up first since watching that show depresses the crap out of me. Thus, I need to watch this to get my spirits back up—you should always save the best for last! So we open with Kang Hwi sneaking up on Man Ok pretending to be a Japanese man. I can’t believe she honestly didn’t know it was him since the place was so remote. He then drags her to buy her some food. Anyone else wonder why his disguise was completely removed? 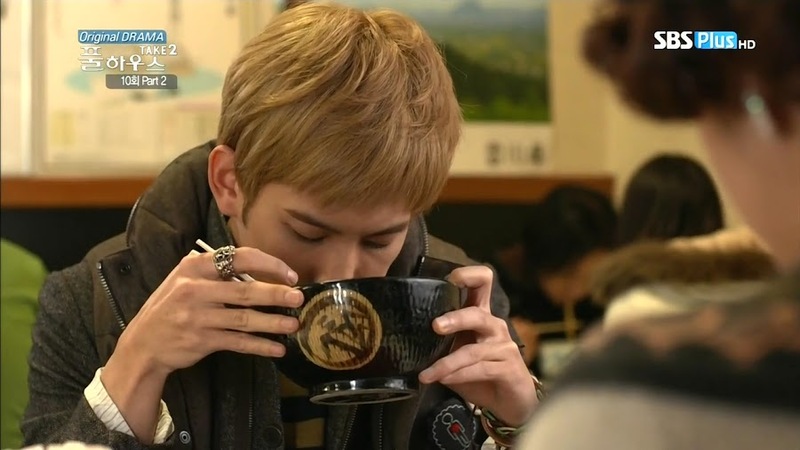 They sit and eat udon together and Kang Hwi stares at her. When she notices this, he shakes himself and asks if it’s good. She replies that its very delicious and tells him to hurry and eat as well. She then asks if he found the recorder. Then again, if he had, there is no way he’d be in Japan with Joon right now. Kang Hwi won’t answer this question—I guess he doesn’t want her to know about his problem at the moment. He only tells her to hurry and eat. He then notices her worried expression and again urges her to hurry and eat since he hasn’t been shopping in awhile. LOL. Leave it to Kang Hwi to think of shopping at a time like this. The two go all over the shopping mall and we end up at the hair clip scene where he wants to buy both for her and man Ok insists only on one as a greedy person can lose everything. Kang Hwi picks up the left behind pin and says it’s pretty before noticing the flier for a special place he asks Man Ok to go with him to. This episode reminded me of a scene from the movie Rock My World starring two of my favorite British actors (Peter O’Toole and Joan Plowright) along with Alicia Silverstone. In that movie, Lady Foxley quotes her father: “There’s an apple in the world for everyone’s need, but not for everyone’s greed.” Of course, her husband quips back with her father dying destitute, lol. But this scene just really brought that one to mind. It’s a greed talk that really hits home. We see the two sitting on a stone wall drinking coffee. 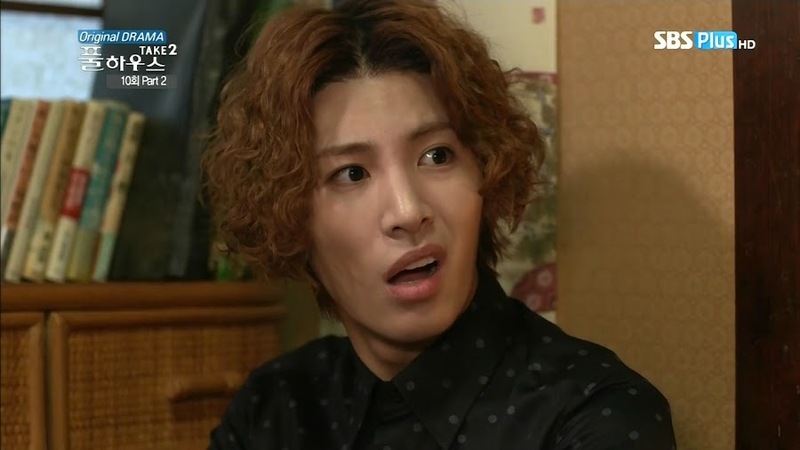 Man Ok broaches the subject again about why Kang Hwi has rejoined Joon and Kang Hwi ignores her again. Is he refusing to answer? Kang Hwi finally turns to her and smiles and says he isn’t asking why she came to Japan is he? Thus, Man Ok shouldn’t ask him any more either. So let them forget all that stuff and just have fun doing all the things they couldn’t because he was trapped in the basement. 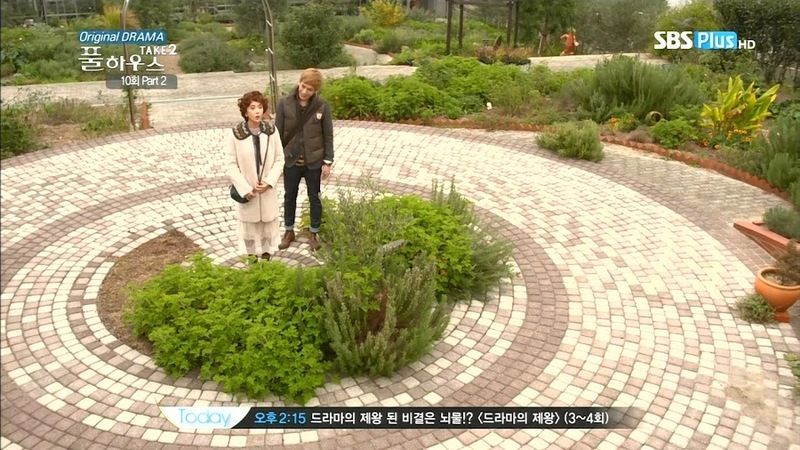 Man Ok looks uncomfortable and Kang Hwi quickly pulls her after him to the echo place we saw in the previous episode. The two take turns making echoes and Kang Hwi’s last turn is to yell Man Ok is prettier than the actor with the same name. This makes Man Ok laugh. Kang Hwi then turns and says he has something to say. He thanks her for being by his side all of this time and then asks if she can remain there in the future. Such a cool, serious gaze from him! Man Ok gets a call before she can reply, but I think it’s more like she was saved since the question did make her seem uncomfortable (especially after her kiss with Tae Ik earlier). 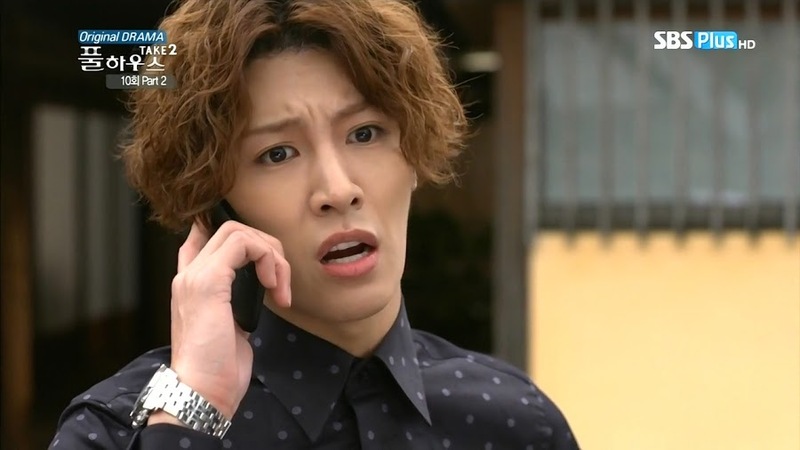 She goes off to answer the call as Kang Hwi-nim gets a call from Joon demanding to know where he is since they have a meeting with reporters later that night. Kang Hwi says he will be there on time and hangs up. He then looks at Man Ok.
Who is she on the phone with? An angry Tae Ik. He demands to know just what she’s doing. Didn’t she promise to earn her keep and help serve at the inn? Then she had better get her rear back there pronto. LOL. You know that’s not the real reason he called her. He then glares at his phone as Bum Soo comes up with a bag of beer. Why is Tae Ik glaring at the phone like that? Never mind—would he like to drink with Bum Soo? 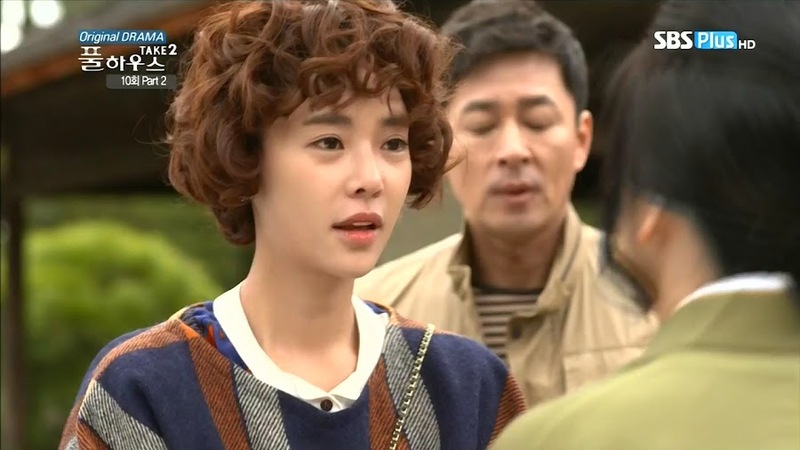 The two go off and drink and Bum Soo tries to encourage Tae Ik to go back and try once more. Bum Soo promises to do all he can to help. Tae Ik smirks. Bum Soo will help? Bum Soo says that while he may appear untrustworthy, he’s at least better than Joon. Tae Ik doesn’t believe this whatsoever. To him Bum Soo is no different and only thinks of dollar signs as well. Bum Soo is quick to assert that he has never once thought that way. Besides, he at least knows what Tae Ik truly wants. Tae Ik then asks Bum Soo what he thinks it is that Tae Ik truly wants. Bum Soo says that while Tae Ik always complained he was forced to be a singer so that he could make money to get back his family home, but that’s not really how Tae Ik feels. Bum Soo then asks Tae Ik to tell him honestly—doesn’t he wish to stand on stage again? So why doesn’t Tae Ik go back to Korea and get it back? EVERYTHING! Stand on stage again and get back his house, his fame, and the woman he loves (was he referring to Jin Se Ryeong or someone else?) on his own. I love Bum Soo. He then pulls out a laptop and shows Tae Ik how his fans are asking him to come back. Tae Ik jumps up and yells he doesn’t need that and rushes off. The truth really is hard to handle, isn’t it? Man Ok returns to the inn. 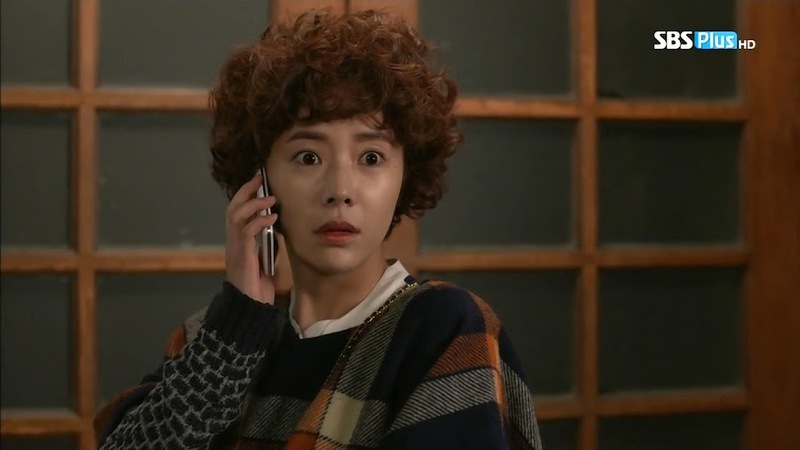 She gets a text from Kang Hwi who tells her there is something he must talk with her about no matter what and that he’ll see her back in Seoul. 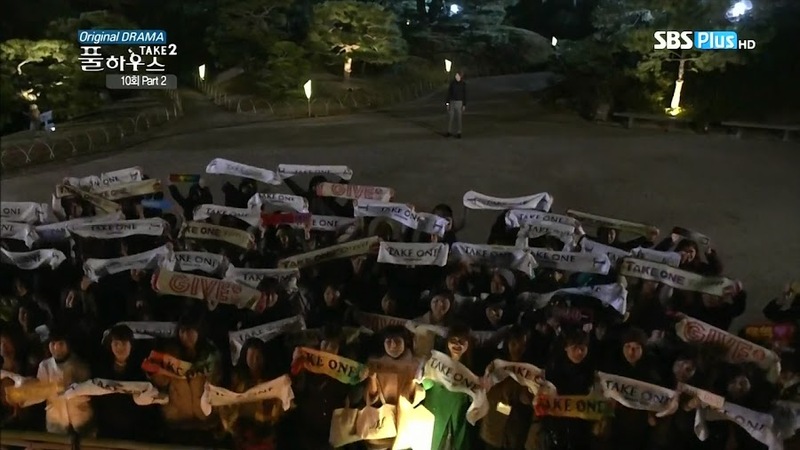 When she gets to the inn, it’s surrounded by fan girls screaming Tae Ik’s name and how much they love him. This makes Man Ok pause. Tae Ik is sitting dejectedly in his room when Man Ok shows up with beers asking to drink. Is this a trend? She can go ahead and drink without him since he’s already had a drink. Man Ok comes in and shuts the door behind her. Since he’s already had one, he can have another. She sits down and he demands to know what makes her think she can just come into his room. Man Ok tells him this is her last night in Japan so this is the least he can do for her. Say what? Didn’t Man Ok refuse to leave if he wasn’t leaving? That was the original plan, but the problem is she purchased round-trip tickets to get a cheaper deal. Since the return date is fixed, she can’t get it changed. LOL. Man Ok hands him the beer which he grumpily takes and opens as she asks him to go back with her. Tae Ik’s reply? If she came to drink beer then drink and go. Man Ok starts guzzling until she’s completely drunk. Why can’t Tae Ik just go back with her, huh? Doesn’t the sagaji know that to get there she spent all of the money she has? Her head drops down and Tae Ik thinks she’s done, but her head pops back up and she just complains about how bad the exchange rate is. Tae Ik then shows his temper. What? Sagaji? Man Ok just drunkenly laughs and goes to drink some more. Tae Ik takes the can of beer away and tells her to stop. Man Ok pouts and looks down before she starts giggling hysterically. This freaks Tae Ik out. What’s with this sudden change of temperament. She then pokes him and says that this sagaji is still loved by so many. That’s a happy thing. 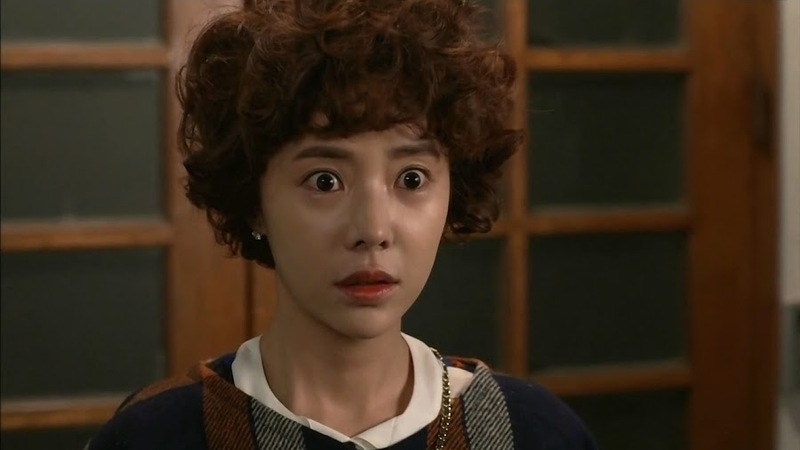 Her head drops again and again, Tae Ik gets a shock when it pops back up and she starts yelling again. He should go back and start over for his fans. What wrong have they committed besides loving him? 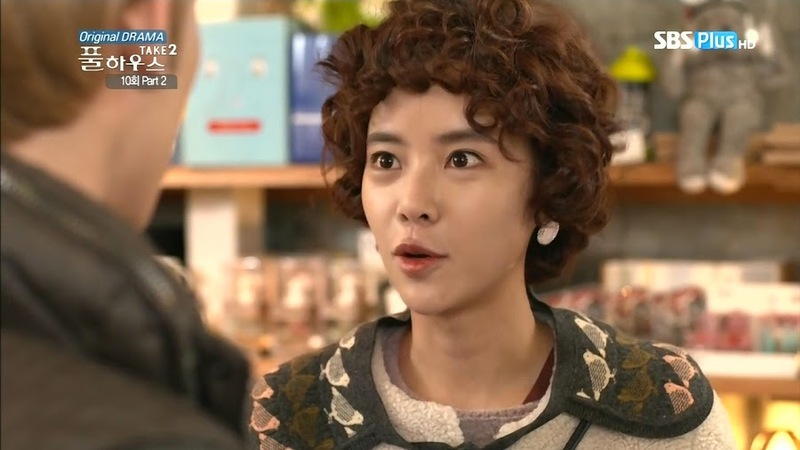 Tae Ik looks at her closely and says she has multiple personalities. She then grabs his cheeks and again asks what’s so good about him. She then says he’s very handsome before passing out with her head on his lap. Her last words were to yell for more alcohol. I thought it was cute when he immediately put his hand over hers on his face. It’s kind of hard to tell if it’s more like he was happy over the contact or ready to pry her hands off since she was acting all crazy in her drunkenness. Tae Ik then goes outside recalling the fans surrounding him and his mother with their phones. He then hears girls shouting his name and “I love you.” He goes to the source and sees candles and the crowd of girls asking him to come back. This brings him to tears. Is it enough to get him to go back? I think this is important. It’s a very big dichotomy. On one hand, fans can be crazed and make your life a living hell by following you everywhere and invading your privacy. On the other hand, fans can be a great source of strength, support, and love. Man Ok is packing when she takes out her phone and texts Kang Hwi who is sitting on the couch playing with his phone while Go Dong packs for him. He smiles when he reads Man Ok’s text about contacting him to meet up once she’s back in Seoul. Bum Soo and Man Ok are packed and ready to go and bid their farewells to the Lee women. Mina looks really sad to see Man Ok go. She then starts saying she wishes to come home, too and asks to go back with them. Man Ok then gets her to calm down by promising that Tae Ik will be bringing Mina home soon. Aunt Lee then wonders where her nephew has gone so early that he didn’t even see the pair off. Typical Tae Ik fashion, you know? 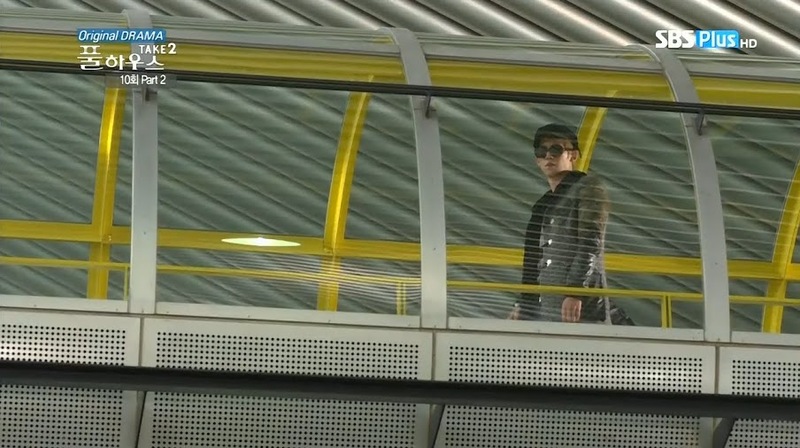 Man Ok and Bum Soo arrive at the airport and dejectedly head in when Tae Ik, luggage packed, calls out to them. The two are happy and surprised to see him. Tae Ik hands his luggage over to Man Ok while Bum Soo happily claps him on the back. Inside, Bum Soo goes off to check in their luggage. and Man Ok smiles and asks Tae Ik what he would like to drink. Tae Ik tells her not to smile or else he’ll fall for her. She keeps smiling and asks what he wants to drink once more. Tae Ik then gives her a funny request—water. How is that funny? It needs must be 7 parts cold and 3 parts hot and the ratio had better be exact. LOL. Tae Ik, Tae Ik. Man Ok smiles and calls him Tae Ik-nim as she heads off to fulfill his request. This makes him smile. Awww, progress! 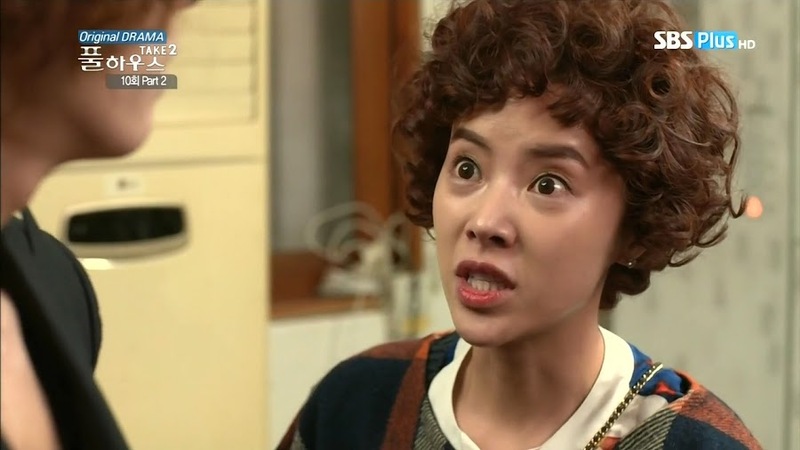 Well…before she only called him Tae Ik-ssi and it annoyed him that she always called Kang Hwi by Kang Hwi-nim. Anywho, Go Dong and Kang Hwi arrive and Go Dong urges the worn out Kang Hwi to hurry as Joon and Se Ryeong are waiting. He tiredly waves Go Dong ahead and glances down. He sees Man Ok and Tae Ik sitting together, teasing one another. This makes him stop, but Go Dong quickly calls him over and he does start walking. On the plane, he is lost in thought, recalling the cute water scene at the airport. This makes him unhappy. Joon breaks into this and starts talking about how busy they will be once back in Seoul. Kang Hwi doesn’t care and leaves that all up to Joon who then broaches the subject about how problematic it will be to keep Man Ok as a stylist given her recent media exposure thanks to the fake engagement incident. 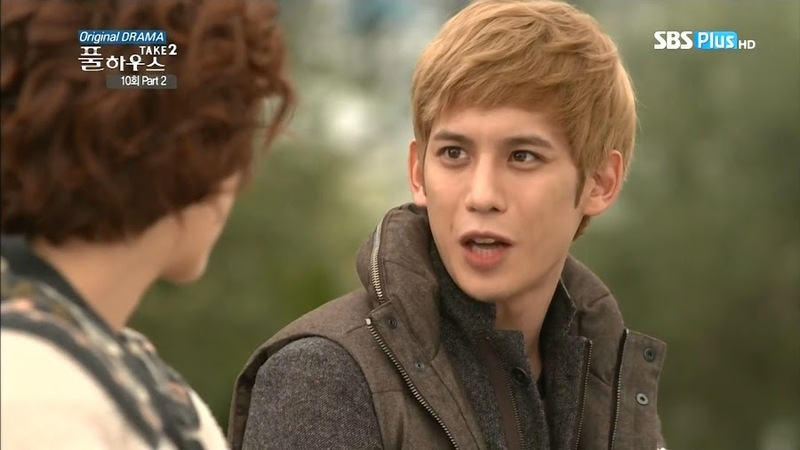 Kang Hwi turns and tells Joon that he will disappear as soon as they land if Joon reneges on this promise. Back in Korea, the stalkarazzi trio arrive at the airport to see the returning Take One members. Seo complains that the girls are acting too much like fans and must remember they are now journalists. 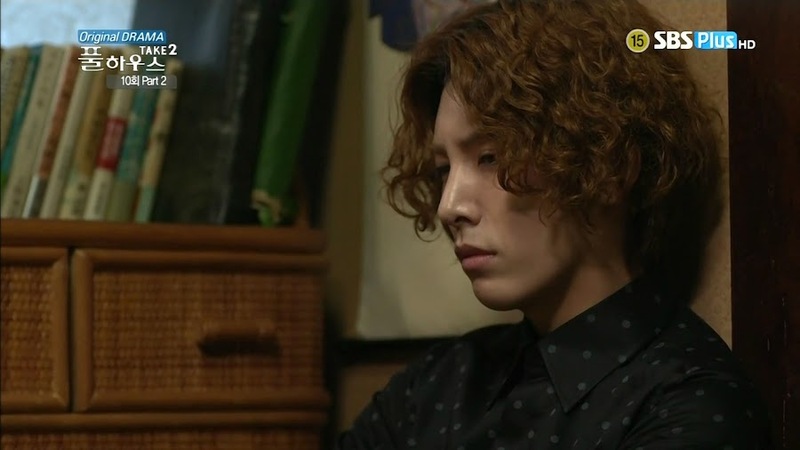 He then gets evil glares when he demands to know just who Kang Hwi is anyways (meaning he’s not all that). Seo starts chanting over Kang Hwi’s greatness and the girls quickly follow suit. Kang Hwi then returns to the screaming girls. Notice how he’s lost his bright smile he always wore. It’s sad. 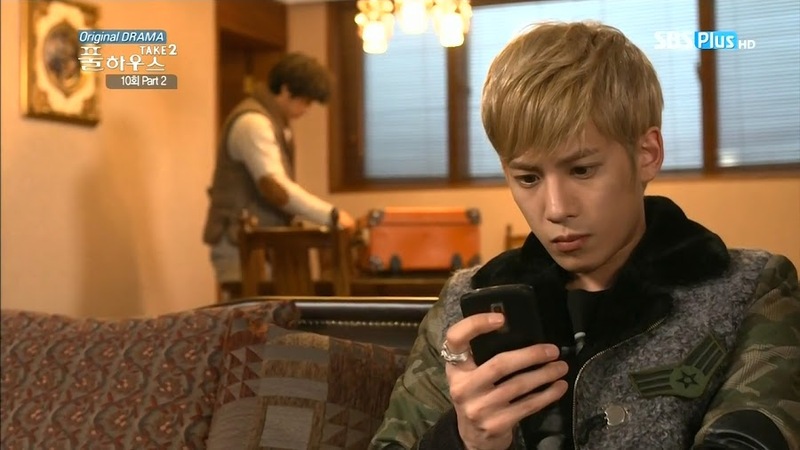 But quite honestly…this look really seems to suit Park Ki Woong better. This serious, non-playful look. Sure, he can do the bright chipper side of Kang Hwi, but I really think his serious acting shines the best in this drama…which seems a bit odd given this is more rom com than anything else. Meanwhile, Man Ok is wearing a scarf and waiting for Tae Ik and Bum Soo. Omo. 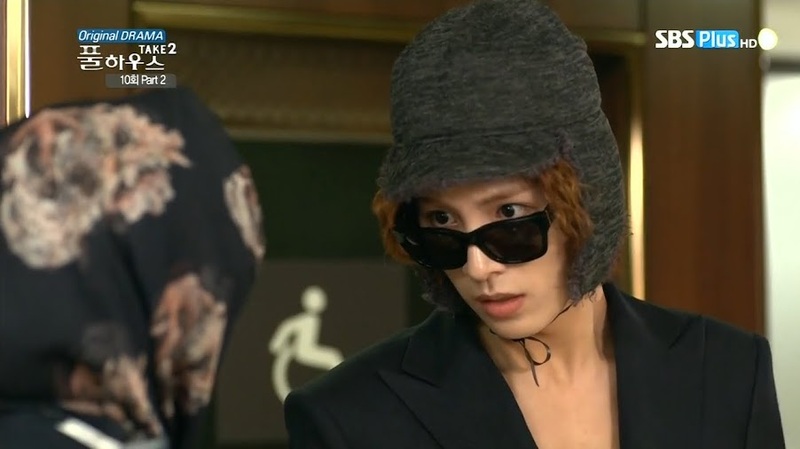 Tae Ik’s disguise…he’s wearing a flapper hat! He’s annoyed by this fashion and asks if Bum Soo used to sell roasted chestnuts. Bum Soo explains it’s a military hat that was all the rage once upon a time. Man Ok offers to trade him her scarf, but he glances at it and refuses that. Time to sneak out now. 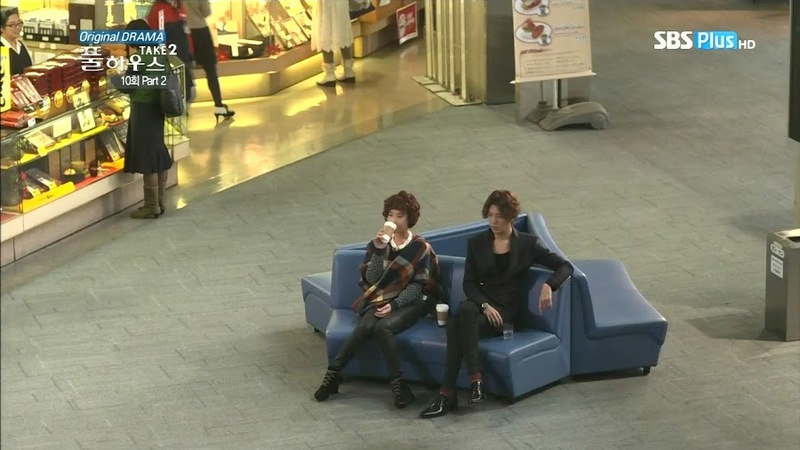 Kang Hwi and Joon are giving a press conference at the airport of all places. When asked if Kang Hwi was ousted because of the love triangle (him, Man Ok, and Tae Ik), Kang Hwi calmly and seriously says that wasn’t the case at all. There was an issue with the company that has now been amicably resolved. He must have had a hard time after getting kicked out? Yes, but thanks to the break in his normally frantic schedule, he was able to seriously reflect on matters. The reporters then bring up the contract engagement issue. Is Kang Hwi’s comeback and Tae Ik’s withdrawal connected? 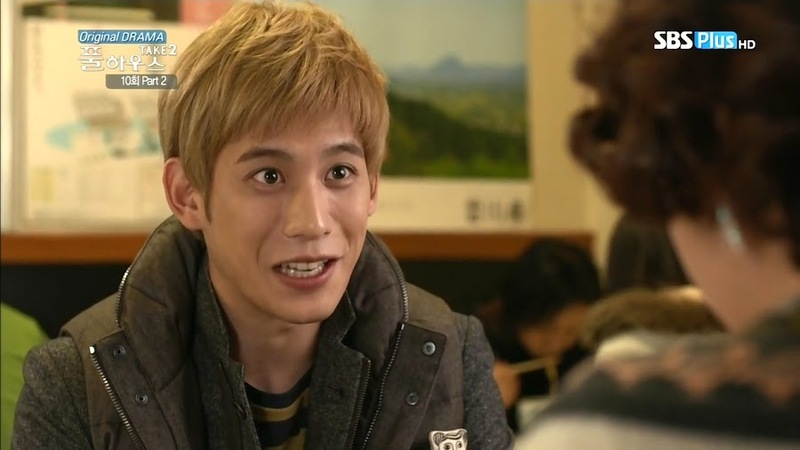 Again, Kang Hwi cuts Joon off before he can say anything. Smart man. Kang Hwi denies a connection and apologizes for the shameful incidents. So, since Tae Ik has voluntarily withdrawn, will Kang Hwi be going solo? 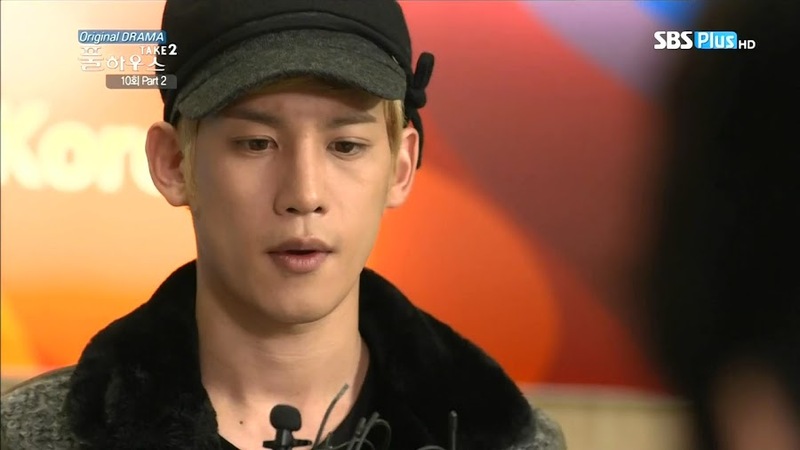 Kang Hwi says that no matter what happens, he will try to do his best and stand in front of his fans. Joon calls an end to things and they leave. Meanwhile, Bum Soo is surprised by the lack of reporters and says it was probably unnecessary for Tae Ik to wear that hat after all. LOL. Joon is shocked to learn that both his stars wish to stay in the annex instead of moving back into the newly redone part. We then cut to Man Ok demanding to know how Joon got his hands on the annex. Bum Soo then scolds Tae Ik for doing something like that (giving up his part of Full House) without consulting him first. Man Ok wonders where Tae Ik will be staying. Bum Soo laughs uncomfortably and says that he’s of course arranged for Tae Ik to stay somewhere. He then takes them to his messy house. He says that he only didn’t clean because of the sudden trip to Japan. That I highly doubt. He’s so organized in business and a complete slob at home. But then again, it’s not like he’s got a regular 9-5 job, so I guess it shouldn’t be too shocking. Man Ok doesn’t think there’s enough room for two, and this has Bum Soo looking around. How so? It’s just a little untidy. Once it’s clean, it will be suitable enough for two men. Tae Ik turns and says he’ll just stay at a hotel. Bum Soo tells him there’s no money, plus it’s bad news if reporters or Joon discover where he is. It’s safest to remain there with Bum Soo for the time being. Man Ok then invites Tae Ik to the dojo, but Tae Ik quickly refuses this and tells her to hurry and leave. Tae Ik looks at Bum Soo and says through gritted teeth they must clean right away. Will he really be okay? 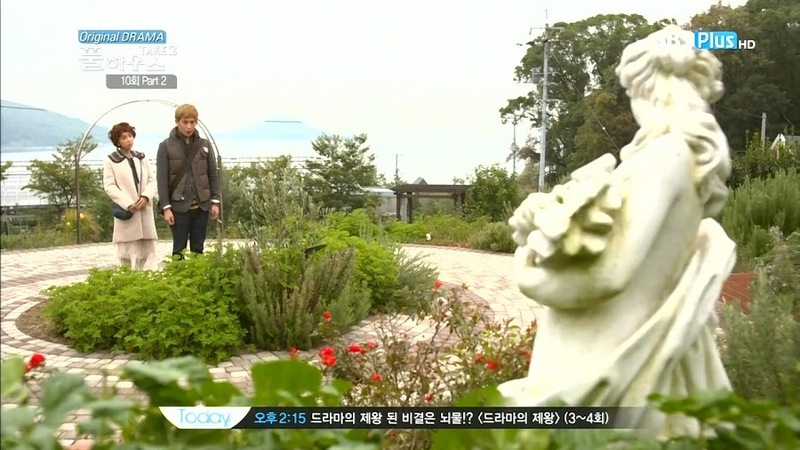 Tae Ik assures Man Ok he will be fine and tells her to go once more. Man Ok leaves and wonders if he’ll really be okay. She then gets a call from Joon. That night, Tae Ik is trying to sleep, but Bum Soo’s snoring is too loud. He sits up and tries to wake Bum Soo up, but can’t. He then spots a cockroach and screams. Bum Soo pops up only to quickly return to sleep while Tae Ik is seriously freaked out. Man Ok is on her way home when she gets his call. What is he doing not sleeping? Tae Ik says the place is weird. Is it uncomfortable? Tae Ik then says he thinks someone is there. Besides Bum Soo? Tae Ik then talks about weird noises. Man Ok then laughs at this. Just spray insecticide or squish them. How can a girl say that so easily? Anywho, since he made that choice, he’ll just have to make do with it. By the way, Man Ok isn’t home is she? Man Ok says she is home and Tae Ik says that’s BS. 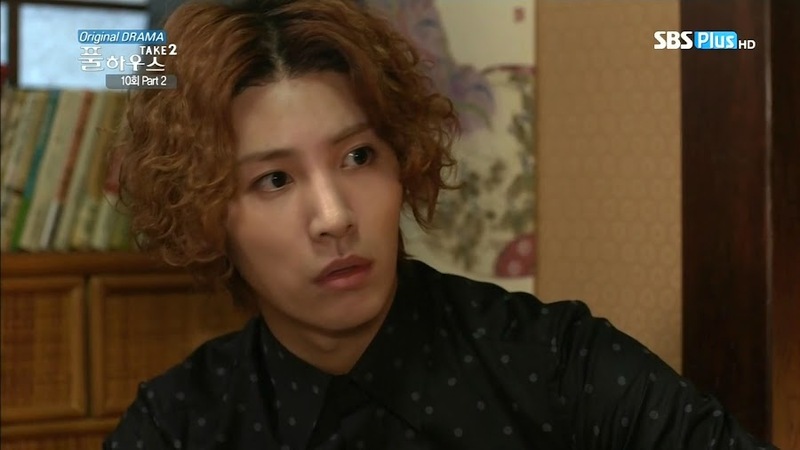 This shocks Man Ok. Lee Tae Ik uses words like that, too? He insists she isn’t home and she insists she is as she arrives at her door. He then says she can see her now. He hangs up and Man Ok turns, shocked. What’s this? Tae Ik then asks to stay there. End episode. Not really a surprise given his many allergies and that reaction to a cockroach. The previews for the upcoming episodes make me really excited!!!! Although, I am very confused. The kiss happened, but there is no progress on the relationship quite as yet (though the previews really do look promising on that respect, but still). Nothing has seemed to change. That really doesn’t make sense. How can you have a kiss like that and no change? The only change is they are on much better terms…but…even this doesn’t seem natural since it looks like the kiss was completely disregarded. Sigh. Thankfully tomorrow is Monday!!!!! When Tae Ik was having a few flashbacks, one of them was when he was mobbed by the girls when they first realised he was in Japan. I couldn’t tell if that was a bad memory or if he was thinking of it as a good memory. And i still have no idea. It was weird, because it was a memory of Man Ok, and then a memory of the crazed fangirls, and then another memory of Man Ok (if i can recall that correctly, anyway. I may be wrong, lol). So i was like, what exactly is he thinking right now? That scene where Man Ok was drinking with Tae Ik. 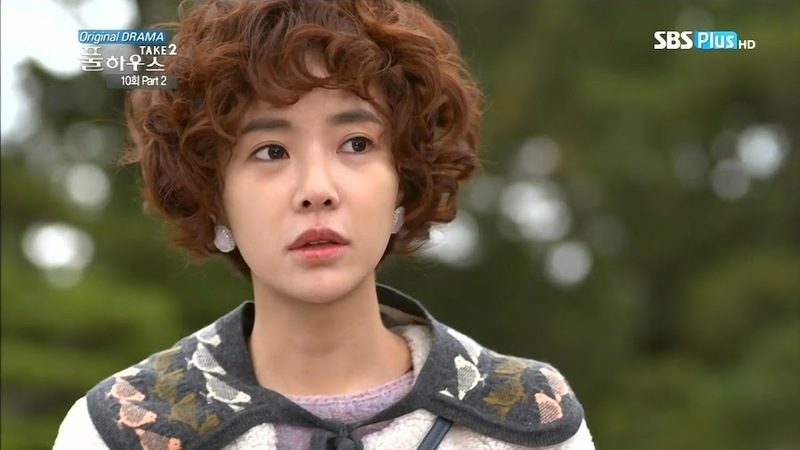 That was a perfect scene for Tae Ik to show some emotion for her. Like, hold her properly, or stroke her cheek or hair, or something! Something! Argh! Missed opportunity, show! 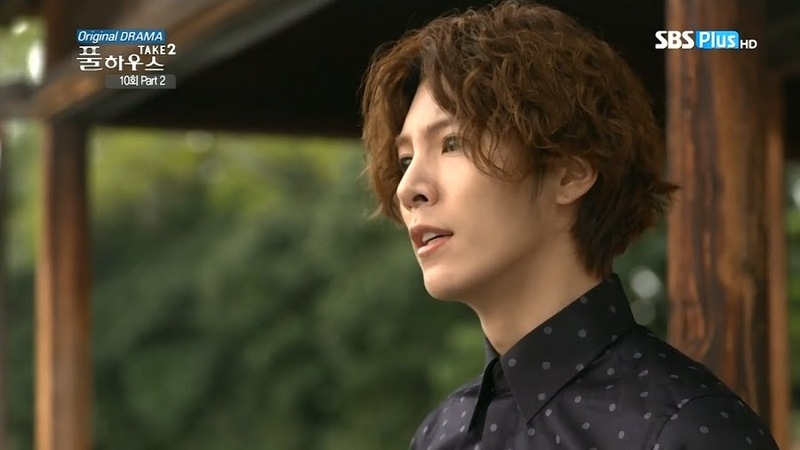 I’m a bit concerned over Kang Hwi. I have a feeling he might go evil for a while, and I really don’t want that to happen. He can see what’s happening between Man Ok and Tae Ik, but he’s still pushing for Man Ok to be by his side. And when Man Ok chooses Tae Ik, Kang Hwi might crack. 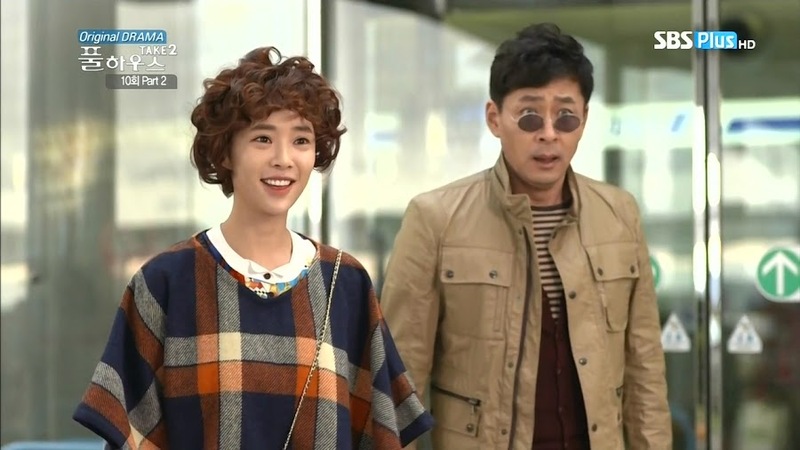 But next week does look like fun, especially if Grandpa comes back! I don’t what he’s going to do about the situation. With the fan scenes, I was thinking the mob with his mom was a bad thing but the girls holding a vigil outside was a good thing, but yeah, even I was a tad confused at that part. Ah, editing. It must be done wisely to have things make sense, but that is one thing that doesn’t happen at certain points with this drama (like the kiss). I was hoping for a wee bit more, too. We did get him touching her hand, but like I said in the recap, it was hard to tell if it was to get her hand off his face or hold it there. And after she passed out? He just had that desperate, worried look. I am hoping Kang Hwi doesn’t turn evil. In the original, the 2nd male lead wasn’t evil (it was more along the lines of the evil best friend/2nd female lead). He liked SHG and got frustrated with her very confusing relationship with Rain. 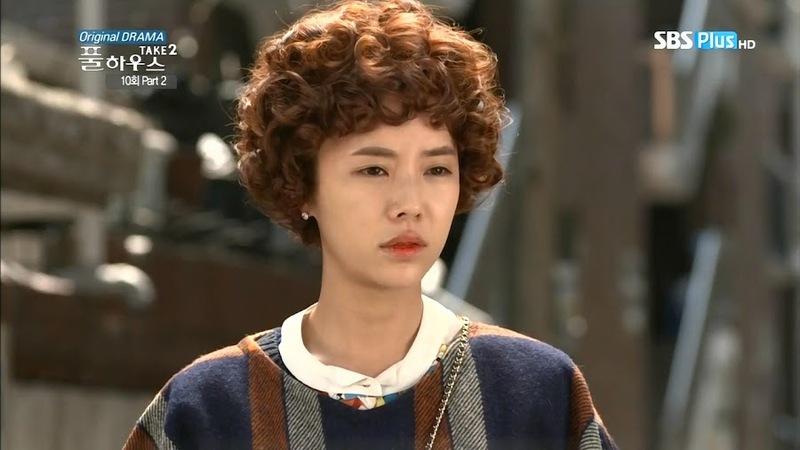 I’m hoping Kang Hwi will like Tae Ik and Man Ok enough to NOT do anything bad or drastic. This show keeps getting better and waiting for the latest ep to air has been my daily mon-thurs obsession!